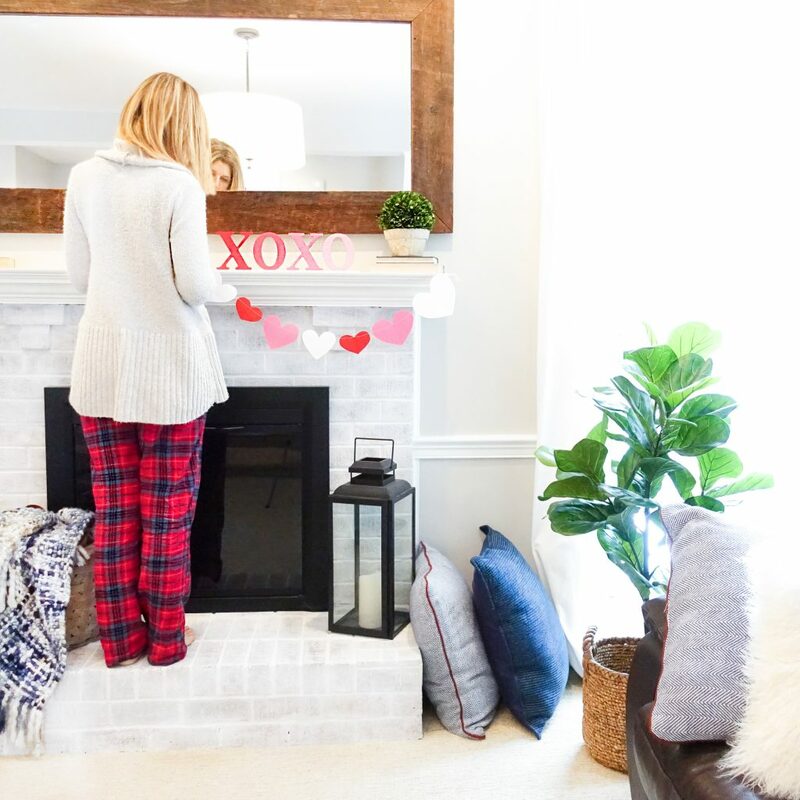 These DIY Valentine’s Day Ombre Decorations are a quick and easy project to add some fun to your decor. We picked up all of the supplies at our local Walmart, but your local craft store should have similar supplies as well. 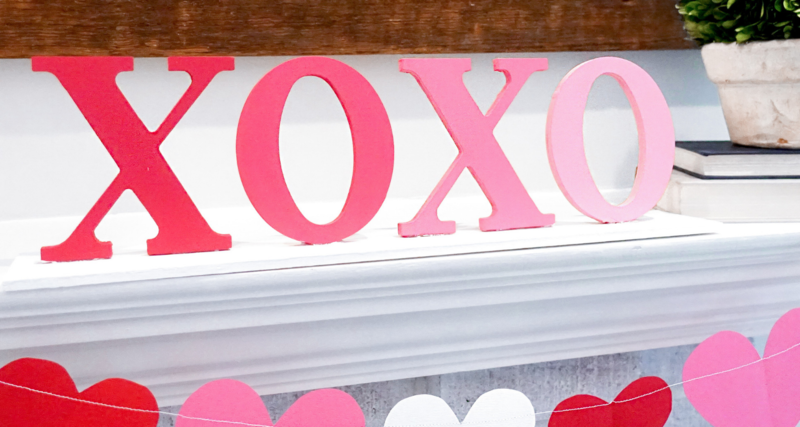 Letters to paint – We chose XOXO. You could also do LOVE or FAMILY – totally up to you. A few colors of acrylic craft paint. We actually ended up using three of the four and mixing the white to make different shades to create a better ombre effect. Small thin board or paint stick and hot glue gun .. if your letters don’t stand on their own you might have to hot glue them to a thin piece of wood or paint stick to help them stand up. 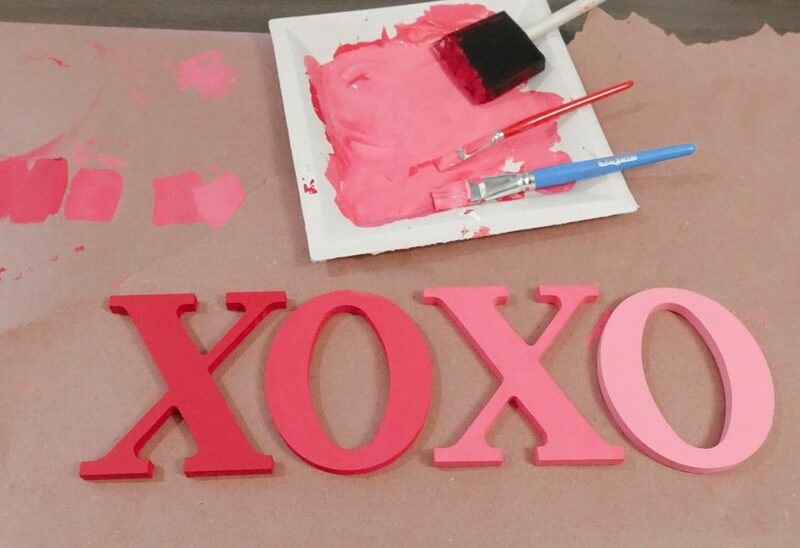 Set up your work area and paint your first letter with the darkest color of paint. 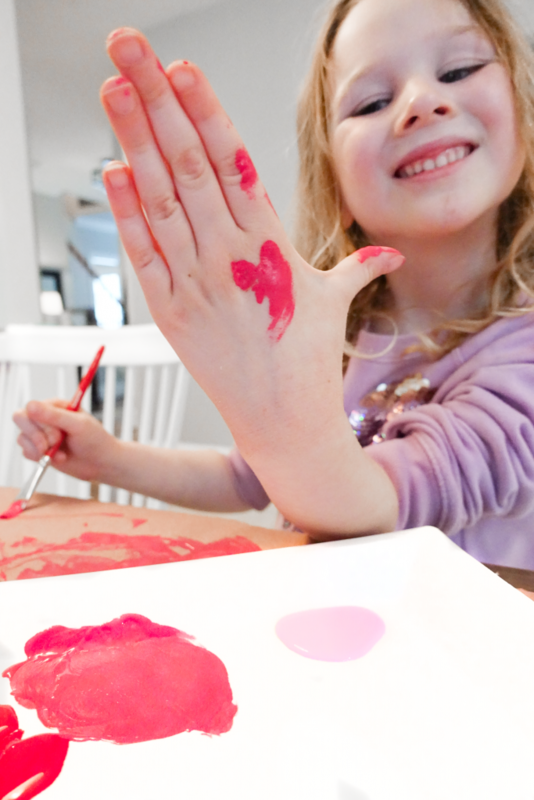 If you have chosen four different colors of paint, continue painting each letter with the next lighter color of paint. If you plan on mixing your colors, we suggest testing the colors out before applying them to your letters. We ended up using the true color for our first “X”, then a kept mixing white with some of our other colors to get the lighter colors for the rest of the letters. Your letters should start dark and get progressively lighter or start light and get progressively darker to get the ombre look. Totally up to you. 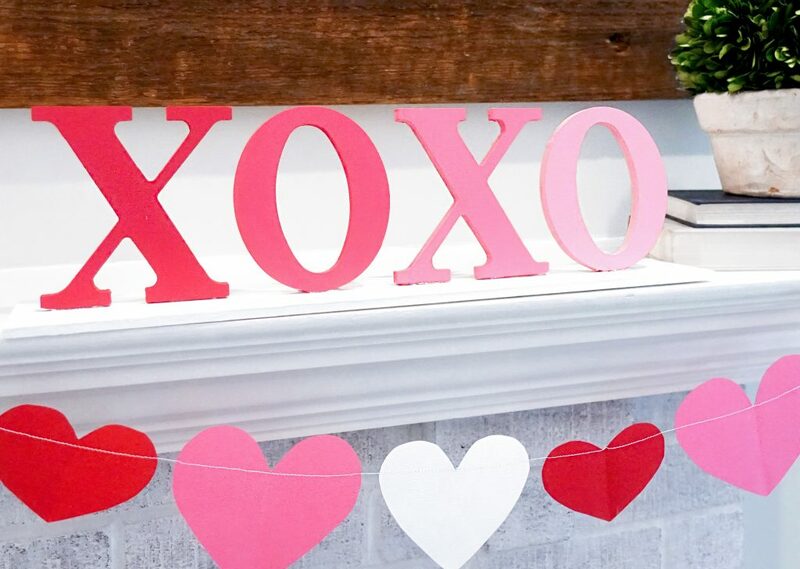 If the letters don’t stand up on their own and you would like them to you can hot glue them to a painted piece of thin wood that can be found at your local craft store.